Product prices and availability are accurate as of 2018-12-10 04:14:45 EST and are subject to change. Any price and availability information displayed on http://www.amazon.com/ at the time of purchase will apply to the purchase of this product. 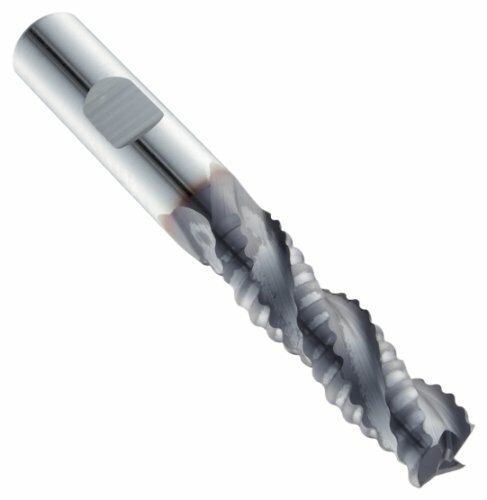 The Niagara Cutter RHC752 TiCN-coated cobalt steel coarse-pitch rougher end mill has three flutes and a 36-degree helix, making it suitable for machining soft, gummy materials such as aluminum or other nonferrous metals. The 36-degree helix offers increased cutting action compared to end mills with lower helix angles, as it moves excess material quickly up the spiral and away from the workpiece. The end mill has three flutes to optimize the feed and cut rate, and produces a rough finish that can be smoothed by a second finishing cut. The coarse-pitch tooth design includes chip-breaking cutting edges that remove more material in less time than conventional end mills to support heavier cuts at higher speeds. Rougher end mills are special-purpose tools whose chip-breaking cutting edges create small chips for heavy cuts and remove more material in less time than conventional end mills, with minimal vibration (chatter). The TiCN coating offers increased hardness and greater abrasion resistance than uncoated tools. The cobalt steel substrate can be run at faster speeds and stays sharp longer than high-speed steel tools, while offering resistance to heat and abrasion. The tool’s square end creates sharp, unrounded cuts and has a corner chamfer on the cutting edges to provide more strength than standard square end tools in applications where cutting forces are high. The center-cutting design has cutting teeth at the end of the tool, so it can be fed straight into the workpiece like a drill bit for plunge cutting, and used for applications such as slotting and profiling. Cutting diameter tolerance is +0.005” to -0.000". The end mill has a Weldon shank. End mills are designed to remove material and create multi-dimensional shapes and profiles. They have cutting edges along the outside diameter and flutes that remove chips from the cutting area and allow cooling fluids to enter. If heat is not reduced effectively, the tool’s cutting edges will dull and additional material buildup can occur. The number of flutes can range from two to eight. Two-flute designs offer the most efficient chip removal, but more flutes provide a smoother finish. The shank is the end of the tool held in place by a tool holder or machine. 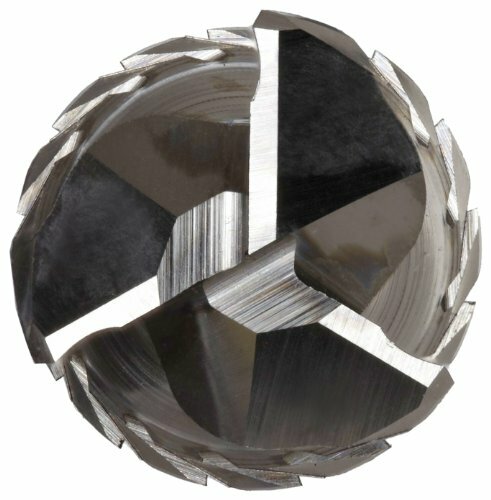 Center-cutting end mills can create three-dimensional shapes and profiles, and make plunge cuts similar to a drill bit. Non-center-cutting end mills are for applications such as peripheral milling and finishing, but cannot make plunge cuts. Niagara Cutter has been designing and manufacturing precision cutting tools since 1954. Specializing in end mills, cutting mills, and saws, the company is based in New York and manufactures its tools at facilities in Pennsylvania and Massachusetts. This allows the company control over production, from substrate to coating, which is essential for customers in a variety of industries, especially aerospace and automotive.